What would Daniel Matsunaga do in case he bumps into ex-girlfriend Erich Gonzales? 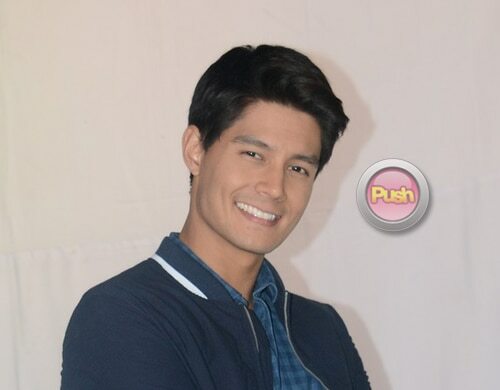 Daniel Matsunaga says he and Erich Gonzales have not spoken since their stint in the US. Daniel Matsunaga did not mince his words when he admitted that he and ex-girlfriend Erich Gonzales are no longer talking to each other. In an interview with Daniel at the Avon Men’s Club launch, the Brazilian-Japanese star shared that he hasn’t seen the actress since their US stint. “After the show in the States? Did I see her again?” he admitted. “Hindi ko na naaalala, e. Pero matagal na hindi kami nagkita eh,” Daniel added. The Be My Lady co-stars shocked the public early this year when Erich confirmed that they had parted ways. “Lately, not really,” he said. In the event that he sees Erich, the I Can Do That candidate claimed that he would definitely say hi. Last February, the former couple spoke face-to-face, as confirmed by a statement from Star Magic. The said statement, likewise, belied claims that their split was caused by a third party or money problems.